You are considering the “short sale” of a home. Financial planning for difficult times. You want to know about assets that are “exempt” from creditors. You are uncertain whether bankruptcy might be right for you. You are considering a loan modification. You co-signed a loan and the borrower filed bankruptcy. You are considering loaning money to a friend or relative who has a lot of debt. Your son or daughter is considering sizeable student loans. We know that visitors to our site have a lot of questions regarding financial matters. These are difficult times and even highly successful individuals have a lot of questions. You or a loved one may not be facing immediate bankruptcy — but now is the time to find out the rules! Because we face these questions on a daily basis in the literally thousands of cases we have filed, we have decided to share that information via ongoing seminars. Naturally, if you are in the top 1% of earners, our seminars may not be right for you. But for anyone else — we think you will find the seminars useful. Perhaps you work for a company whose clients file bankruptcy and you are worried about the consequences of violating the “bankruptcy stay” or “fair debt collection” laws. Maybe your real estate is just too far upside down and you think a “short sale” might be for you. Or, you have children considering student loans just to get by in these difficult times. Naturally, we will explain the bankruptcy process and tell you how much money and property is “exempt” from being taken. We will describe “bankruptcy fraud” and its consequences. We will walk you through all aspects of bankruptcy law that may concern you. 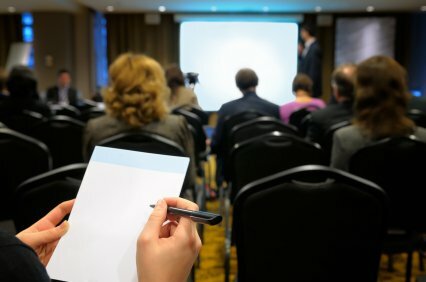 Whether you are a creditor who is receiving bankruptcy notices from customers, a person who is up against the wall financially, or someone who is just curious about this serious part of our financial world, we think attending one of our free seminars will be time well spent. availability, so please use the form below to tell us when you will attend.